A very violent week across the U.S.
After videos showing two African-American men shot by police in Baton Rouge, Louisiana and outside Minneapolis, Minnesota led to protests and debate about how police use force across the country, five police officers were killed and seven others were wounded during a protest march in Dallas. It was the deadliest incident for U.S. law enforcement since the 9/11 terror attacks nearly 15 years ago. Saying he’s tired of seeing African-American men and women gunned down in the streets, Tay Anderson helped organize Denver’s Black Lives Matter march this week. He told Anne Trujillo on this week’s Politics Unplugged that he would like to see more follow-up from Denver’s mayor and police chief when it comes to opening a dialogue between the city’s minority groups and the police department. Alex Landau brings a different perspective to the debate. He brought a lawsuit against police after he was beaten during a traffic stop 2009. Landau and Anderson go into more detail about what they believe is wrong with the system and the steps they say it will take to correct it on this week’s Politics Unplugged . 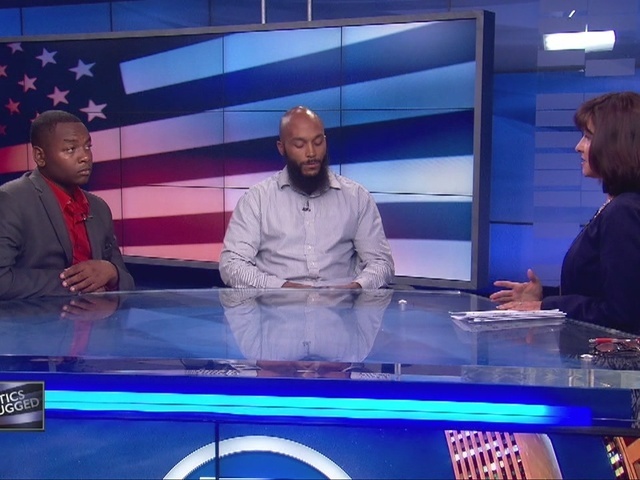 Politics Unplugged airs Sundays at 4pm on Denver7.